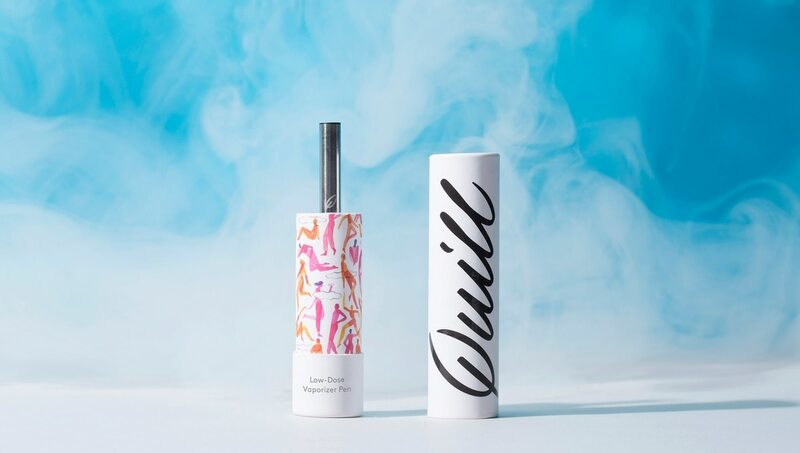 The Quill is a Low-Dose Vape For People Who Get Stoned Without Being Stoners. OMFGCO stands out by treating cannabis products like any other—as opposed to how they’re so often handled. The fastest way to make money from the cannabis industry? Ask the pros and they'll tell you it's to never actually touch the product. Despite the success of pot-friendly security system installers and HVAC technicians, most mainstream companies continue to avoid the gray areas that need to be navigated when working with cannabis-related businesses. For Jeremy Pelley and Fritz Mesenbrink of the OMFGCO creative agency, low smoking tolerance was their only hesitation. "We knew we didn't just want to design for clients, but actually be a part of the community," says Pelley. Pelley and Mesenbrink figured that out with the Quill, the rare cannabis product that created its own niche. A year after it launched, the low-dose disposable vape is finding traction in the market. 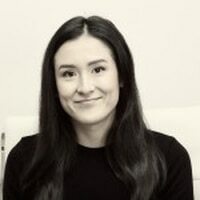 The story of the Quill not only illustrates how unpredictable cannabis startups can be, but how tightly tied the various aspects of the industry have become. Though most growers and processors still end up throwing their unemployed nephew $100 to make a logo and a Weebly website, Mesenbrink and Pelley saw opportunity in the unbranded hordes of pot companies. They've done well, working with some of the state's best brands. But now, they're actually touching the product, with the Quill, a sleek silver tube that emits a low, consistent dose of 2 milligrams THC with every drag. That allows newbies to take satisfying rips without knocking themselves into another dimension, and experienced smokers to control their supplementary puffs with finesse. The idea came from Ian Shaughnessy, who worked as a distiller in Chicago before returning to his hometown of Portland with his friend and business partner, Christopher Schiel. A mutual childhood friend referred him to Pelley and Mesenbrink at OMFGCO, who had been waiting for someone to launch a high-quality, low-dose product line. Pelley and Mesenbrink started OMFGCO ("The Official Manufacturing Company") in 2009, and made it into the marketing powerhouse behind the branding for companies like Ace Hotel, Stumptown Coffee and Olympia Provisions. "When these guys approached us, it was a no-brainer," says Mesenbrink. "Not just the aesthetic idea, but the product itself. We saw potential to change the industry for the better with this project." And so they formed Rare Industries, a cannabis-focused sister company to the OMFGCO agency, headed by Mesenbrink, Pelley, Shaughnessy, and Schiel. "We sincerely wanted to change the way people understand cannabis," says Mesenbrink, "and that starts with proper dosage. We aren't trying to make everyone be a pothead; we think people can smoke weed without being a stoner. People drink and aren't all called alcoholics." That's an extension of their philosophy on branding—an area they say has been neglected. OMFGCO stands out by treating cannabis products like any other—as opposed to how they're so often handled. "[Most people] aren't thinking about what's been done. Everything is green," Pelley says. "Not considering all the senses—the way a package can feel in your hand." The agency also knew there were people out there who wanted to get high but not stoned, but it took longer than they expected for that demographic to grow—partly because even though the Quill administered a low dose, it was still an extract, meaning it wasn't available to recreational users. To adapt to the needs of the primarily medical market, Rare created another product line, with more potent vape cartridges, dab syringes and cannabis capsules. Once recreational users could buy the Quill in Oregon, Rare's baby started to find an audience. And a lot of that audience were women. A year after it launched, the Quill saw sales improve and greater attention from culture blogs and women-run cannabis media outlets, which led to more inquiries from dispensaries. "We definitely didn't want to be macho," says Pelley, "but we weren't trying to make a feminine vape pen. Being sophisticated made the Quill automatically feminine, and it's become way popular with women…it's been a happy evolution." The new year is a great time to get healthier—by vaping instead of smoking. This is the first part of our four-part series on vapes.